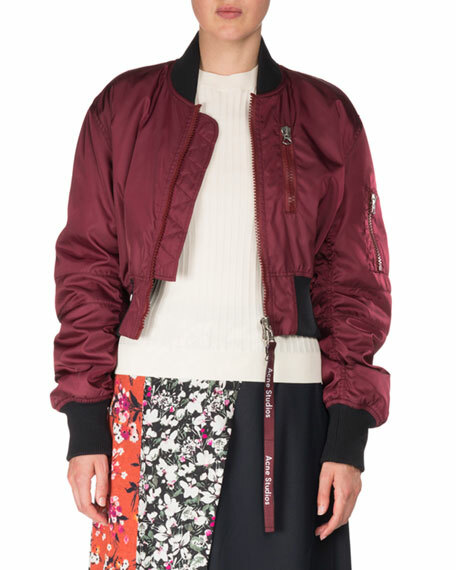 Acne Studios "Aila" bomber jacket. Ribbed collar, hem, & cuffs. 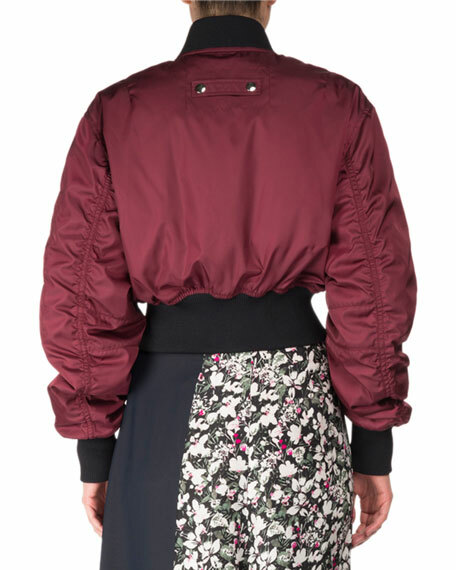 Long sleeves; ruched at back; pocket detail. 100 pairs of raw-denim jeans turned Swedish label Acne from upstart creative collective to global fashion house. Established in Stockholm in 1996 as a creative consultancy, Acne-- or Ambition to Create Novel Expression-- stumbled into the spotlight when founder Jonny Johansson gave away 100 pairs of jeans to fashionable friends and influencers. Today, the group runs companies in advertising, design, film, and fashion, applying a multidisciplinary approach to everything they do. In addition to their signature denim, Acne produces apparel for men and women characterized by juxtapositional designs and eclectic, innovative materials. 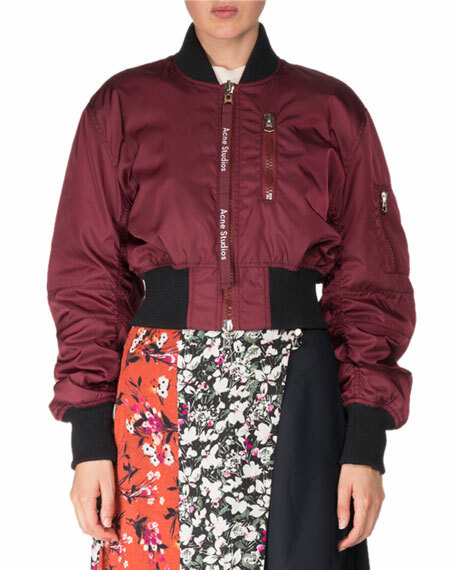 For in-store inquiries, use sku #2352554.